When you think about the world’s most dangerous and pressing conflicts, most people picture Arab-Israeli tensions, civil wars in Africa, or even America’s interventions in foreign states. What few people intuitively think of as the world’s central conflict-causing issue in years to come, however, is the growing resource scarcity of key industrial items that has already led to great power jockeying. In his 2012 book The Race for What’s Left, Michael L. Klare details why almost every single resource the global economy depends upon is running out, and how countries are trying to grab up the rest before it’s too late. These resource- and landgrabs are not likely to lead to a friendlier global arena, to say the least, and may spell disaster if great powers come to blows. The most obvious example is oil: you would be hard-pressed to find a single American, especially one with a car, who isn’t aware of the fact that oil is a scarce resource. Rising gas prices and oil wars and diplomacy have marked US foreign policy since WWII. The end of “easy” oil, primarily in the form of deposits in the Middle East, has led to increased exploration of riskier sources. From the tar pits of Alberta to the deep offshore wells off of North and South America (as well as every other continent), oil exploration has taken a front row seat in the quest for more resources. Russia, Norway, Greenland (administered by Denmark) and others have begun setting the stage for conflict over arctic territories believed to hold vast oil resources. This has raised concerns about the implications of invasive oil wells in the delicate arctic environment, already beleaguered by climate change and global warming. Environmental concerns also abound on the issue of deepwater drilling. The Deepwater Horizon oil explosion was almost certainly a result of hasty exploration that overlooked safety measures, and that disaster is not likely to be the last in the hazardous practice of deepwater drilling. Still, when the choice is to put entire coastlines at risk or have no more access to the black gold, governments and corporations the world over are not likely to be more concerned with the communities than the oil. Oil extraction from the tar sands of northern Canada would be no less environmentally hazardous. Fraccing for natural gas has already been exposed as dangerous to the areas in which it takes place. Hydrocarbons are not the only area in which countries are likely to compete for resources. Common minerals such as copper and aluminum, as well as rare earth metals essential for electronics production are running out. Formerly rich deposits of common elements like copper have dwindled as world demand has skyrocketed. Rare earth metals have already caused waves in international politics: China, a key holder of REMs, has restricted and even banned exports of the metals to foreign countries both as a practical move and a political one. Without elements like lithium, for example, there is no way to produce advanced technologies like lightweight lithium batteries. That REMs and other minerals are concentrated in the hands of just a few countries makes the likelihood of conflict go up due to the political motivation behind any decrease in exports. 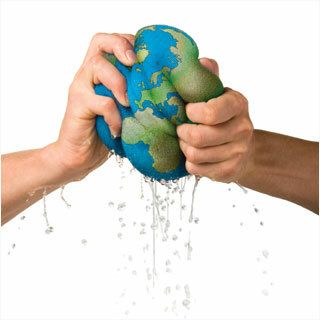 Besides the shrinking of deposits of gas, oil, and minerals, the final area of crucial resource scarcity is less obvious because it comes not in the form of a deposit, but the very earth you stand upon. Land scarcity, especially arable land scarcity is a growing problem to which many countries are already seeking solutions. Saudi Arabia and other Gulf states have made huge efforts to buy up agricultural land in Africa and South Asia. China, although seemingly more than large enough to support its population, also has its eye on the pie as its growing citizenry outpaces the viable agricultural land. The issue of landgrabs is problematic for a few reasons: first, what are the implications of foreign powers owning a large share of another country’s land? Second, what about the moral implications of a country growing food in a place like Africa where food scarcity, famine, and malnutrition are continuous threats? Third, will third party agriculturalists really take as good of care of the land as natives of the country? All of these areas of resource scarcity paint a fairly frightening picture: if countries do not find an alternative to current consumption patterns, then war between them over resources is inevitable in the future. 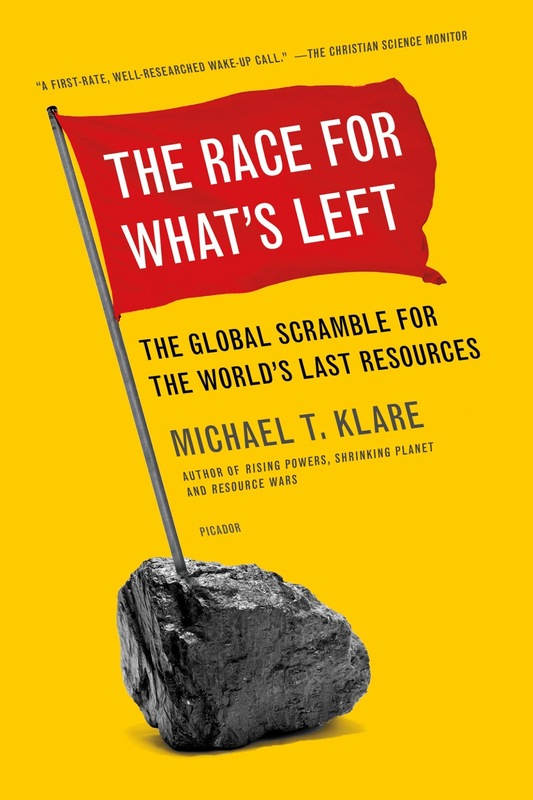 As Klare argues, the only viable solution is then to find alternative sources of energy and minerals and come to a consensus about resource distribution, use and laws. Unfortunately, given the state of international consensus on any issue, let alone one that threatens both the national security and the economy of every nation on earth, the alternative solution is not likely to even be sought until it may be too late. The Race for What's Left by Michael. T. Klare formed the basis for this article. Hi there - good read, that. One question: is the image of the wrenched earth copyrighted? If so, can you please hint on the rights' owner?